Celtics Coach, Brad Stevens, does not simply manage NBA players. He manages men. Rookie Daniel Thies is one of Brad's troops, and Stevens is bringing him along gradually as Daniel adapts to the pro game in the USA. The stats show the positive result. 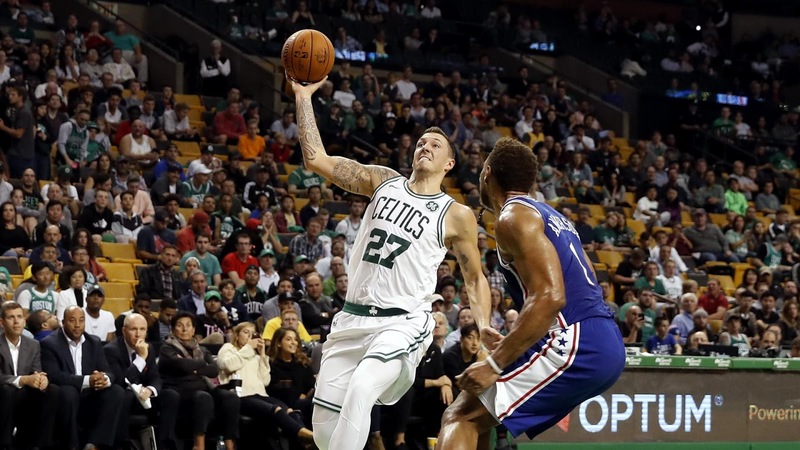 Early in the season, Theis' November minutes show only 11.9 minutes of floor time per game. He scored an average of 3.9 points and grabbed 4.1 rebounds in the limited time. In December, his numbers jumped to 13.7 MPG, 4.8 PPG and 3.8 RPG. A total of four games in January show 16.9 MPG, 7.0 PPG and 6.8 RPG. His accuracy shows 63.2% from the field and 42.9% from beyond the arc. Steady, positive progression of his time on the court and his production. As a 25-year-old from Germany, Daniel is not the usual NBA rookie, but he is a very promising one. With increased minutes, he is definitely a double-double threat, but it doesn't end there. He has shown he can play the Celtics ever-switching defense and hit the rock from distance. From the start, I labeled him as a natural rebounder. Almost seven rebounds in less than 17 minutes for the month of January gets anyone's attention. As far as his future with the Celtics and the NBA, he has shown he belongs and may have starter-potential. He is 6'9" and 243 pounds and can play center or power forward. Theis is signed at a bargain $815,615 this season and $1,378,242 for the 2018-19 campaign. I doubt we have seen Daniel at peak performance yet. He is still developing, and the numbers show it.